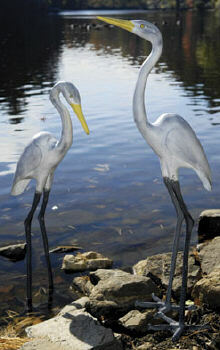 Egrets and other varieties of herons hold a number of symbolisms in many different cultures. Allow this one, which peers up into the sky, symbolize harmony with the elements and unity with Mother Nature around your home. Create a more natural and colorful habitat around your pond, water garden, or stream.